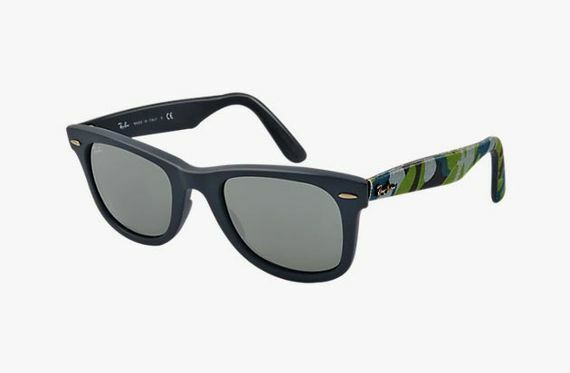 There are few things in this material world quite as iconic as the Ray-Ban “Wayfarer” silhouette, and this latest rendition puts a retro spin on these retro specs. Now I know that last sentence may have you scratching your head, but the already retro feel of the Wayfarer has gotten a shot in the arm courtesy of a “Leather” finish that engulfs these frames. If you’ve ever wanted to wear the fabric of a guitar amp or old SLR 35mm film camera on your face then you are in luck, as these, in black and brown, deliver. 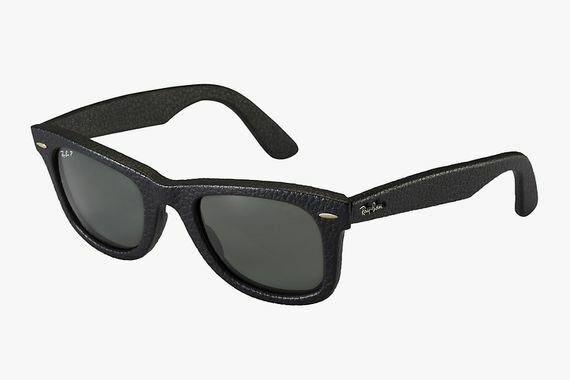 Ray-Ban popped in some Polarized lenses to spice things up, and for the Chief Keef approved rate of $300 they can be yours now.